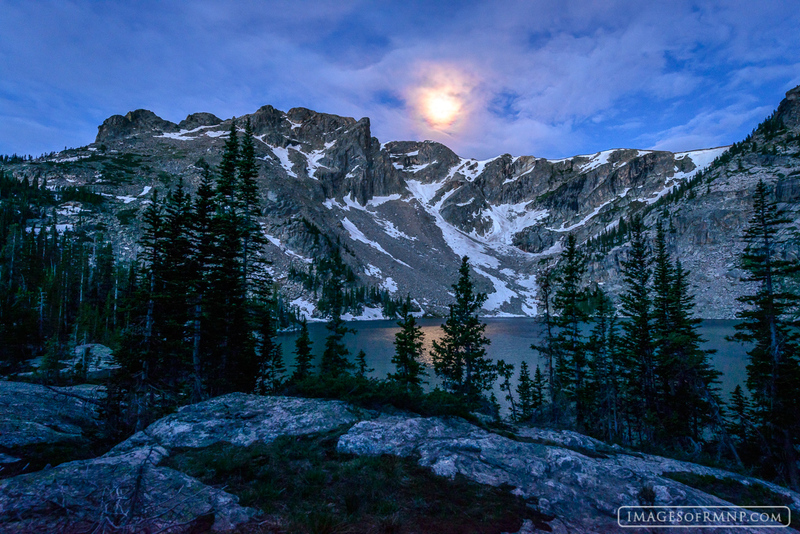 On this morning I arrived at this lake well before sunrise and had the privilege of watching a full moon set behind Ptarmigan Mountain. As it set, its glow lit the world with a gentle blue light and its reflection shimmered on the lake. These are special but fleeting moments of wonder.